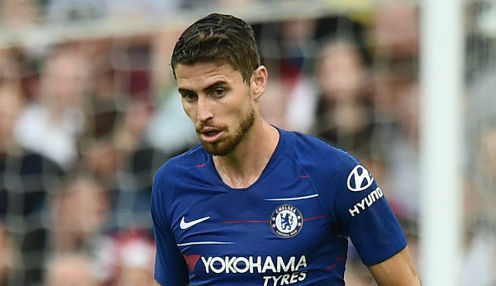 Chelsea midfielder Jorginho has admitted that he would be interested in returning to Italy at some point in the future. The 26-year-old moved to Stamford Bridge from Napoli in the summer and has featured in the Blues' first four Premier League matches of the campaign, all of which have been won. The Italy international had spent four-and-a-half seasons in Naples but opted to follow Maurizio Sarri and leave a team that finished second in Serie A last season to join Chelsea. Jorginho said: "There is a big difference [between Serie A and the Premier League], in terms of rhythm and the physicality. Everybody knows this, of course, but I am enjoying it a lot. "I enjoy the high tempo of the matches and the fact that all the players get involved 100 per cent in the games. "There were various things behind my departure from Napoli. The will of just one party is not enough. Serie A will always be one of the best leagues in the world. I hope to go back one day." Napoli have made a steady start to the season under Carlo Ancelotti's guidance and are 2000/1 to win the Serie A title this term while Juventus can be backed at 1/20000. Chelsea are 12121/1 to win the Premier League title in 2018/19 and 1/7 to beat Cardiff City in their next match on 15th September.